Combine Parmesan cheese and oregano; set aside. 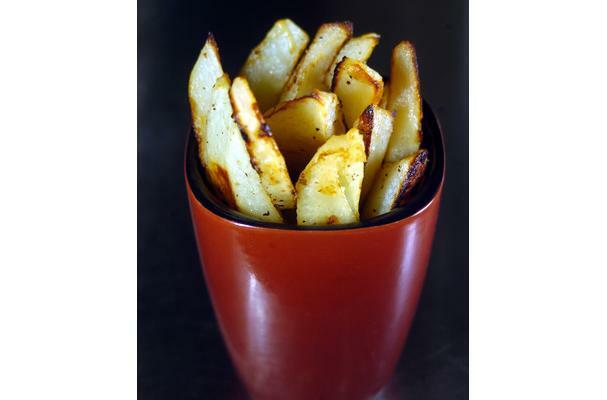 Cut each potato lengthwise into 8 wedges; dip into egg white, and dredge in Parmesan cheese mixture. Place fries on a baking sheet coated with vegetable cooking spray. Bake at 425 degrees for 25 minutes.